It's been a while since the last release, but here it is: Cowboy Saints and Other Lost Wonders, by Phil Raines and Harvey Welles. A few words about Phil and Harvey. They've been writing together for at least twenty years, and in that time have managed to quietly steal their way into several Year's Best anthologies as well as being published in a variety of publications well-known to most of you reading this blog, particularly Interzone, Lady Churchill's Rosebud Wristlet and Albedo One. Some of the stories herein contained have also appeared in Year's Best SF and Fantasy collections, as well as being listed in 'recommended reading' annual retrospectives by the likes of Locus magazine. Here's a small taster of what you might find inside, in the form of Hal Duncan's introduction, Plastic Hippos for Feet. Part of me wants to start this intro with a personal story, an anecdote of An Adventure With Phil, involving a miniature sarcophagus with plastic hippos for feet and a shovel hidden in a banjo case for a trip through town in the dead of night. Or the story of an abandoned railway tunnel aglow with hundreds of tea-lights. Or of statues of Teutonic knights gifted with golden eye-shadow and lip gloss. More. Part of me wants to sketch in a half dozen illustrations of the imaginative spirit behind the stories you’re about to read – or one of the imaginative spirits at least – as if to say: See, knowing this, now you get where all the weirdness is coming from, don’t you? It makes sense now, right? But such truth would be a lie, I reckon, an explaining-away. Better, more honest, I think, to offer just the images, a few real-world lost wonders as hints of what’s to come, to leave it to you to piece something together from, say, a shovel in a banjo case and a sarcophagus with plastic hippos for feet – oh, and a coin, a condom, a toy cow, an invitation, a map. Make of that what you will. A little enigma seems apt here, after all. See, I’ve known Phil Raines for some twenty years now, it must be, as a member of the Glasgow SF Writers’ Circle and as a good friend. But, to coin a term, I’ve unknown his writing partner, Harvey Welles, for about the same period – Harvey, the ever-present, ever-absent other half across the Pond, there in the fiction but hidden behind it, Harvey, somewhere in Milwaukee, happily working away on their collaborations but having nothing to do with the kerfuffle after creation. I’ve never met the Gilbert (or George?) of this literary Gilbert & George. He’s as much of a mystery to me as Phil is a mate, as elusive as his invisible lagomorphic namesake. So even if I might illuminate a little of the force behind the fiction with a tale or two of Phil’s eccentric “projects,” there’d still be this... negative space where what you really need to know is Harvey’s quirks and foibles. But that too seems apt: if one thing marks out the stories in this collection, it’s a sense of mystery at their hearts. One shouldn’t be misled by the “Wonders” in the subtitle; the “Lost” in there is crucial. These aren’t tales of the merely marvellous – nerd-raptures of brassy SF/F conceits conjured to inspire the gosh-wow sensawunda where “What if” is really “Wouldn’t it be awesome if?” Oh, here and there you’ll find a trope like teleportation on whim – Bester’s jaunting specifically referenced indeed – but the actualisation of desire is too thematic to simply be performed as textual spectacle. Lost wonders are wonders out of reach, not the Fisher Price doohickeys in the genre sandpit. For sure, the wondrous is right there in many of these stories, but it comes not from gadgetry and gimcrack tropes but in the actualities of the communion of the mosh pit, or of “that fado that can blur the boundary between listener and music and blot the world out for a moment,” or in the notion of “a perfect song. God plays it once on the carrier, produces the part and the string dissolves into noise. Never to be repeated.” Which is to say it’s something deeper than the marvellous we’re concerned with in these stories. The where and how of those Portuguese sad songs being made manifest in the world, in the story titled simply after the mode itself, “Fado,” is certainly as fantastical a conceit as you can get... but the marvellous? No. Here we’re talking about the sublime. So, in the title story of the collection we get an image of that sublime, of “the light at sunset, a sky big enough for the light to spread, a desert ridge to give it a bright cutting edge, and the face of a cowboy saint to give it focus –” It’s an honest awe in the face of the real and natural cosmos we’re being given, the expanse of empty desert and vast heavens above, an edge of rock slicing into us, invoking a wonder for beyond the Technicolor and Cinemascope of SF/F’s silver screen SFX. And yet, this is where it gets gnarly, because I can’t help but note how that sublime light is being captured in (mediated by?) reflection upon something at once gaudier and more homely. I mean, this cowboy saint is there to give the light focus. 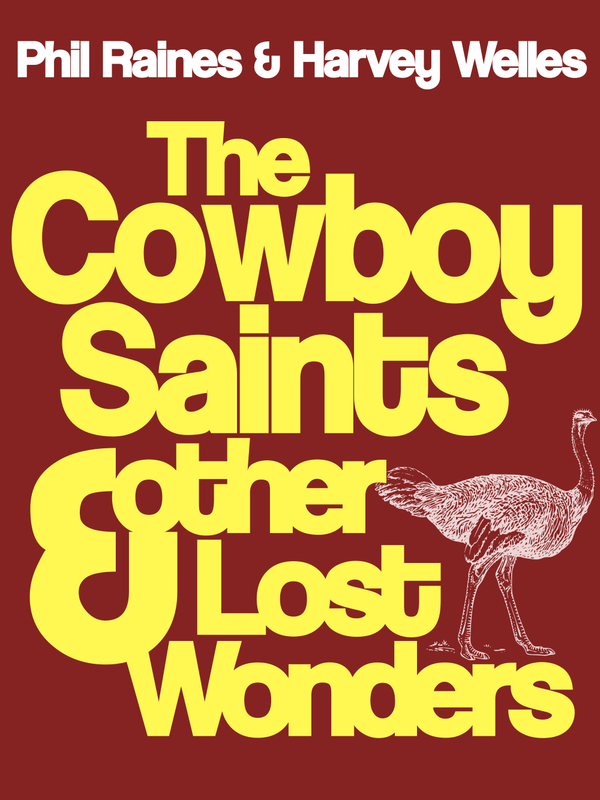 And whatever a cowboy saint might be – as the character himself imagining this vision wonders – how can that phrase not conjure icons Hollywood or Catholic? The Lone Ranger! Dashboard Madonnas! Gene Autry! Buddy Jesus! Isn’t a cowboy saint maybe just... a little kitsch? This is, I might add, in a story where the key lost wonder is a stolen wig made of a cloned Christ’s luscious locks. But if the touch of Technicolor to the iconographies of pulp cinema and plastic religion might edge such an image toward the aesthetic of a Jeff Koons or Pierre et Gilles, I think of household gods, and of Dennis Potter explaining why he used bubblegum pop songs in his TV plays, insisting on the genuine power of things others dismiss as trite. Sell statues of Saint John Wayne the Divine and someone would revere them. Or as Potter might have put it, a three minute pop song of lollipop lyrics can be a fado for the right person in the right context. The secret of some such kitsch might be that it’s always already a lost wonder, the sublime reduced to the mundane, the mundane striving to be sublime. It might be sublime precisely because it’s mundane – a wonder because it’s lost, lost because it’s disposable, signifying ultimately all lost wonder(s). Junk. Kitsch. Kipple. Knick-knacks. Plastic hippos. Triviality makes such things no less sublime though. Here, you’ll see how objects out of memory – a set of monkey bars, a bar of chocolate – can function as notes in the fado of life, in a song being played on us, the most disposable knick-knack loaded with all the import of a crystal-clear high-C. This is not to suggest it’s all about signifiers of the lost past rendered wondrous by nostalgia though. Desire is a force at large in the world in many of the stories, but even where it’s out there making its objects real, making ephemera permanent, the effect is an ambiguous boon at best. There are stories I want to throw the words Sehnsucht and saudade at, but I’m not sure those words stick, to be honest. Certainly the latter is at the heart of Fado, as integral to the story as to the music it’s named for. But that story has a darkness to it, verges on horror – if it doesn’t, in fact, in its closing paragraphs, wholly commit to it. Elsewhere there’s a niggling question of the hunger after all desire is fulfilled, when we’ve run out of things to want. And most of all, there’s a motif of worlds so catastrophically estranged by those forces at large in them that, really, yearning for yesteryear through its signifiers might well be a character’s undoing. Change and stasis are in conflict throughout, direct or indirect: in a world where Good Humor Men come out at dawn to clear corpses from the shells of stone that have sealed them in their apartments, in their rooms, on their sofas, in their own statued bodies... the corpses of those who have surrendered to stasis; in a Washington recombined, retrofitted with patches of other cities, mappable only in collage, but where the protagonist can regain the entirety of her past... if that’s what she really wants; in a Glasgow sundered into St. Mungo and Kentigern, grimy No Mean City on the one hand, gentrified City of Culture on the other. Often, we find characters faced with a world transitioned to utter strangeness, radical instability. The past is not just another country; it’s another reality. The present? The present has run wild with mystery, defies easy explanations. What one does in the face of that... well, that’s the big question. There are stories of those who have adapted though, as much as of those who are struggling to or stubbornly refusing to. If the world has been irreversibly weirded, there are those like the eponymous character of The Last of the Greyhound Kings who can find the constancies at higher levels, across and between the ceaseless changes. “Routes let you keep the motion,” he says. “Making the next connection is the only way you’ll stay in constant flow. Gotta know the routes better than your own body, gotta know them so well that there’s no line between your body and the city.” Echoing the fado that can “blur the boundary” between listener and music, that zen surrender to the flux of a city or a song might well be worth bearing in mind when it comes to the stories you’re about to read. The ground under your feet is going to be constantly moving here – not ground at all but the roof of a bus on the road. You’re going to have to hold on tight at the turns, follow the Greyhound King Raines and the Cowboy Saint Welles as they leap from the roof of this moving bus to that one. But if you can turn your focus to the routes – to the patterns that Mercedes, in Red Shoes, has her knack of gleaning from the most seemingly inconsequential details, to the strange new order in the interstitched streets of Washington and who knows where, to the matrix of junctions where St. Mungo and Kentigern weave through each other – maybe you’ll get a sense of what a cowboy saint is, where the Greyhound King goes, what God’s perfect song might sound like, played once, never to be repeated. As I say, the lost wonders herein are not the marvels of your traditional fantasy. No, expect a whole lot more than that. In the collision of mundane and sublime, expect a fierce strangeness ripping loose through the world, rewriting its rules, a strangeness unleashed in The Fishie into the very language of the story itself, to breath-taking effect. Where the wonders are lost within these pages, it’s not marvels but mystery waiting to be found. I can’t do justice to these stories any more than I can to the tale of a miniature sarcophagus with plastic hippos for foot, so I’ll say no more now. I’ll just put you in the more than capable hands of Messrs Raines and Welles, let you discover the joys of that experience for yourself. - Hal Duncan is the award-winning author of Vellum and Ink.